The Kyocera Mita KM-2530 is a multifunction printer from Kyocera that aims to provide a reliable and dependable solution to high volume production demands among offices and businesses. 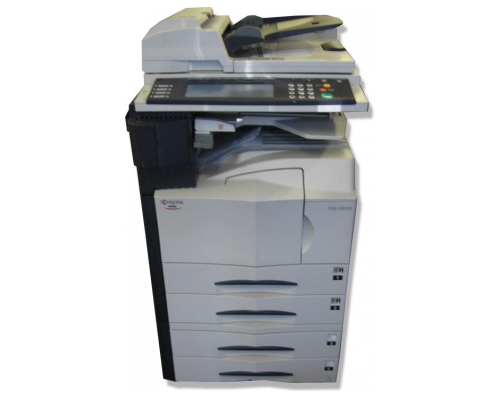 Packed with an enormous paper storage capacity and much improved speeds for print, copy, scan and fax, the Kyocera Mita KM-2530 is a multifunction to be reckoned with in the market for printers and copiers alike. The Kyocera Mita KM-2530 boasts a paper storage capacity unlike the other previous models offered by Kyocera. It has dual paper drawers with capable of handling 500 sheets each, with additional paper handling options such as its sheet and reversing automatic document feeder (ADF). These ADF’s each have a capacity of 70 sheets, both capable of producing 25 letter size originals in a minute. Finishers for paper handling are also available optionally, with a saddle stitch finisher having a stack capacity of 1,000 sheets and an internal finisher with a 500-sheet capacity. 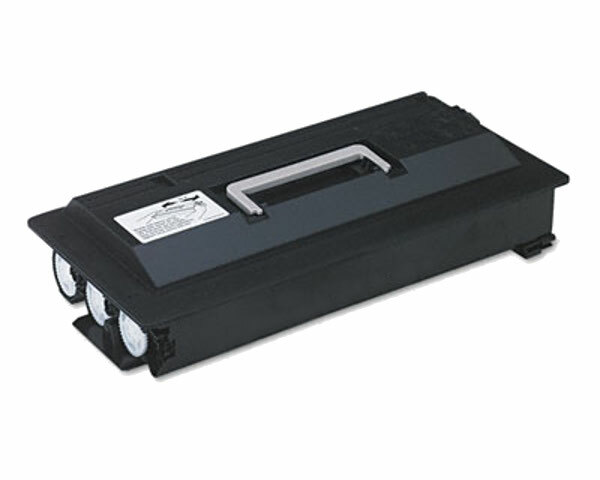 To top it off, the Kyocera Mita KM-2530 has an option to add a large capacity tray with a paper capacity of 3,000 sheets. With these specifications for paper handling, the Kyocera Mita KM-2530 is truly prepped for high volume copies and prints that would come its way. Output speeds for the Kyocera Mita KM-2530 are much improved, with speeds of approximately 25 pages per minute (letter size) for both copy and print functions. For legal and ledger types, the Kyocera Mita KM-2530 has speeds of 18 and 15 ppm, respectively. First copy out is less than 3.9 seconds, ensuring that hurried print and copy tasks are handled. Kyocera Mita KM-2530’s resolution for its copy function is set at 600 x 600 dots per inch (dpi) on 256 levels, with its Fast 1200 dpi Print Resolution for printing function. 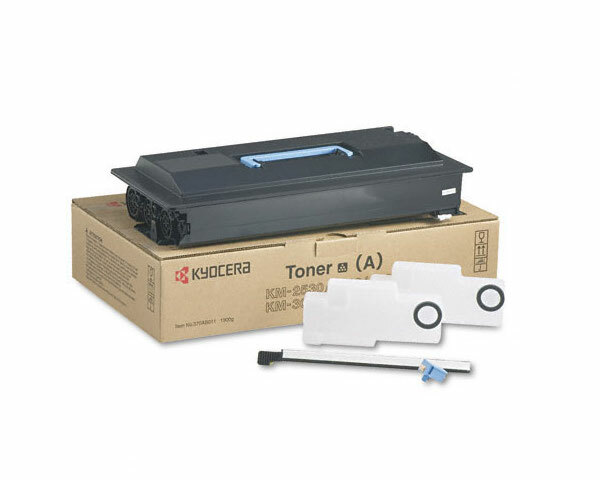 The Kyocera Mita KM-2530 also comes in with lots of additional features, such as Book Mode, Covers, Erase Mode, Margin Shift, Mirror Image, Transparency Mode, 500 Management Codes and Batch Copy. These additional features make the Kyocera Mita KM-2530 a perfect multifunction machine to handle customized and complex copying tasks. The Kyocera Mita KM-2530 is powered by a PowerPC750 350 MHz processor, a significant improvement over past Kyocera printers with only 200 MHz processors. Its print and copier memory is at 32MB, with an option to upgrade to 288MB for its print memory via 100 Pin DIMMS and 160MB upgrade for its copier memory. There is also an option to include an e-MPS Printer HDD. The Kyocera Mita KM-2530 maintains its compatibility with different operating system platforms, and carries varied support for emulations and PDL, such as PRESCRIBE, Diablo 630, IBM ProPrinter X24 and Epson LQ850. Connectivity support on the other hand include Parallel IEEE1284 and Serial RS-232C, aside from the standard 10/100Base TX. Scan speed is also relatively fast for the Kyocera Mita KM-2530, with up to 25 sheets per minute, with varying resolutions of 200, 300, 400 and 600 dpi. Supported file formats are PDF and TIFF, while scanning features include KM Document Flow System – Document Management System, Scan to MAC, Scan to PC/File/E-mail and TWAIN. Fax option has a Super G3 compatibility and a modem speed of 33.6 Kbps with Auto Fallback. Transmission speed is still impressive at approximately 3 seconds per page with an 8MB fax memory. Data compression is also available with additional features including Duplex TX/RX, Confidential RX/TX, Polling and Broadcasting options. There are not much caveats for the Kyocera Mita KM-2530 and what it brings to the table when it comes to efficiency, performance and reliability. One, however, may find that a lot of these optional functions are in fact, optional, which means additional hassle for offices that do not need the whole package right away. Duplexing is still manual and optional, and the print and copy speeds, while competitive and reliable at 25 ppm, may compare slower to other high end and expensive multifunction printers. Review it: "Kyocera Mita KM-2530 "
Kyocera continues to impress with its line of reliable machine consumables, and such are found in the Kyocera Mita KM-2530. It ships with a 34,000-page toner cartridge at 5% coverage, with a drum unit that has an estimated 400,000 page yield before needing replacements.